1. 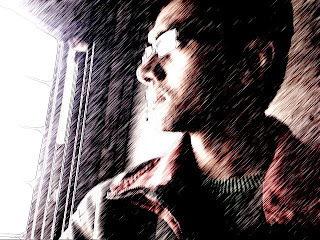 My name was initially going to be Azaad but it was changed to Aditya. 2. My blood type is O positive. 3. I go through food moods, where I eat the same food day after day after day... until one day I say, "no more!" and mean it. 4. Although I love 3-year olds, it's hard to handle 10 of them at a time. 5. As far back as I can remember, I've always wanted to be a scientist of some sort. 6. I have dreams most nights, and remember at least parts of them most of the time. 8. My hands and feet are always very warm. 9. My hair doesn't tangle, so I hardly ever brush it. 10. Winter is my favorite season. 11. I'm seriously running out of shelf space. There's a permanent pile of books residing on my table. 12. I love to read autobiographies. 'Open' by Andre Agassi is my favorite. 13. I don’t have a favorite color. But if I've to pick, it will be black or white. 14. I’m good at tongue twisters. 15. I love to sing when I'm alone. 16. I am not afraid to admit that I love fragrant flowers. 17. But I dislike perfume, scented candles and most other artificially scented products. 18. I love to win. 19. But I hate to see others lose. 20. I am moody, over-sensitive, obsessive, controlling, selfish, arrogant, stubborn, lazy, and self-indulgent. 21. I am also kind, smart, funny, imaginative, empathetic, practical, creative, loving, conscientious, and optimistic. 23. I sleep silently. I hope. 24. I would like to write a book someday. 25. I write with my left hand and play badminton with my right. 26. I have had a web site since 2002. 27. I like the smell of petrol. And moist mud. And forest. 28. I like the feeling of being up early in the morning. But I hate to wake up early. 29. I can get along with almost anyone if I put my mind to it. 30. There are times when I'm so engrossed in an activity that eating or sleeping are chores. The activity often involves computers. 31. I like to make people laugh. 32. I find excessive use of exclamation marks annoying. But I also use them a lot!!! 33. When I was younger I collected match stick covers, trump cards, pens, and audio cassettes. 34. I spent about 2 weeks in the village 'dhiksara' with my aunt, uncle and cousins when I was about fifteen. I loved it. 35. I subscribe to no particular faith. I dislike religions for the most part, except Cricket. 36. I am a messy person. But I am not dirty. 38. I love eating. I love to cook too and I am a big fan of cookery shows. 39. An ultimate temptation of mine is chocolate and ice cream good paani-puri. 40. My personal life is not a subject I really like to talk about. 41. History is AMAZING! I love it. 42. Daydreaming is a great pass time when bored. 43. Death is oddly interesting to me. 44. I love to sing. Unfortunately, I tend to lose my voice because I always sing. 45. I believe silence is golden and maybe I should learn to bite my tounge a bit more to practice this more. 46. I act more on impulse than anything. 47. I like being tallish. 48. I like low lighting. 49. I use the word ‘I’ a lot. 50. All PATELs are not Gujaratis. Atleast I am not a Gujarati. 51. I’m fond of people who don’t pretend. 52. The best trips of my life were to Europe and Baspa Dam. 53. I got close to death twice. 54. I trust my judgement. 55. I love playing with kids, watching them, talking to them and taking photos of them. 56. I like to listen, but I can’t help interrupting when I have an idea. 57. I am a good Googler. 58. I have the unique recognition (experience?) of being both at the top and the bottom of my class. 59. I don't know how to use chopsticks. I have learnt to use chopsticks. 60. I have no self discipline. 61. I don’t believe in reincarnation. 62. I know a few people who dislike me; I totally understand them. 63. I love to pretend I’m smart. 64. I don’t take myself seriously, or most other people. 65. Women with grace = beautiful. 66. I wear clean socks. 67. Shaving and brushing are 2 of the most boring tasks in the world that I have to do regularly. 68. Some people think I’m funny. I think they're right. 69. I usually know where to find things. 70. Without my glasses, I’m helpless. 71. I’m not sure who my best friend is. 73. I am not very patient. 75. I don't understand the fuss around flirting. 76. I am not a morning person. 77. I’ve lost the ability to truly sleep it off. 78. I tend to repeat myself. 79. I tend to repeat myself. 80. I don’t always feel like a grown-up. 81. I wonder if I'm a feminist. I believe in being equal, while being different. 82. I've learnt that taking care of yourself is necessary to be able to help others. 83. I feel out of place in new social situations. 84. I sing while driving. 85. I enjoy encouraging others. 86. I love learning about other people, where they came from, and where they are going. 88. I enjoy being acknowledged for what i do. 89. Even though i check my email all the time, I tend to get lazy and not respond to my email right away. 90. When i try to read a book, I usually end up falling asleep. Still, I read a lot. 92. I love mountains. I want to live a life like Ruskin Bond - live on a hill station and write books! 93. I never get through the day without having read something or listened to some music. 94. I love rain. But I hate getting wet. 95. I think I spend a lot. Mostly on gadgets. 96. I hate shopping. Though I love to have new stuff. 97. I don't consider Gulzar a lyricist. He's a poet. 98. I often cry in movies. Not anymore. 99. I like reading lists more than creating them. 100. No matter how much I like talking about myself, I found it hard to come up with 100 things to say! hehehe nice... nw i know u muchmuch bettr... thought most of the things u do are contradicting to wht u wuld like to do!!! hehe... when's the next 100 cming up? wow aadii u put 100 things that are also very tough to find out from our daily activities and though they r very true about you as i m sure i know most of them ..
nyc wrk adi.. u actually amused me.. :) kp it up! !